Dishwashers are great, but they are not without their problems. While they save us so much time and effort during those busy periods, they can run into problems that can disturb the flow of our households. One such problem that can alarm people is when their dishwasher starts leaving residue not only within the dishwasher, but on plates and dishes too. 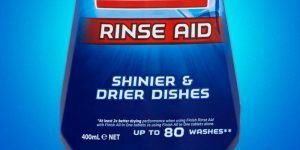 This leaves some, or all, of your dishes needing to be re-washed – negating the point of owning a dishwasher. But don’t worry – there’s no need to call our team at Repair Aid just yet. There are a few things you can do to try and sort out your residue issues without calling in a dishwasher repairer. 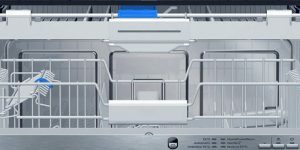 In this article, we’re going to list out the different types of residue that you’ll encounter in a dishwasher, and what you can do to halt, reduce or even eliminate residue from your washer and dishes. Within the UK, particularly England and Wales, a lot of cities and counties receive a ‘hard water‘ supply. This is water with a high mineral content. While studies indicate that there are health benefits to us humans, hard water can be bad for certain materials – particularly dishes. Water that hasn’t been softened can leave a bit of a whitish tint on your dishes that cannot be removed. If you’ve noticed that your dishes have this issue, you can use lemon juice or vinegar to try and wipe it away. If the residue is as a result of hard water, then it will remove these stains; if it doesn’t, then you may be dealing with detergent residue. It’s possible to buy softening salt to help with the problem, or have a water softener installed in your property. 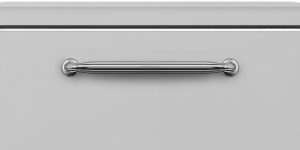 Another common dishwasher residue problem can be caused by detergent. This is often caused by the usage of more modern, phosphate-free detergents. You may notice a slight white-residue on the plate. If the aforementioned hard water method doesn’t work, then you may be dealing with detergent residue. After a number of washes, the residue my start to become quite cake-y in its consistency. Thankfully, this residue can be removed by some scrubbing and scrapping. To try and negate the chances of detergent residue, give some different brands of detergent a go to minimise or eliminate the problem. While residue caused by hard water and detergent can be easily alleviated, and can be saved from needing primarily re-washed, greasy dishes can be pretty disgusting. If you feel like your dishes are greasy after being washed in the dishwasher, there are generally two causes. The first is that the detergent isn’t properly removing grease from your dishes, and the second is that the water isn’t hot enough to remove the grease. The latter could be a result of your heating system, or it could be an internal problem with your dishwasher’s heating elements. Before contacting a repair company, try boosting the temperature on your water tank or run an empty cycle with detergent to remove any remaining residue within the machine. If you don’t think your issue is related to any of the above, you may need to buy a rinse agent. If you see spotting and/or streaking, then this is usually an indication of a rinse agent being required. This has become a must-have for modern dishwashers, and manufacturers do recommend purchasing it to prevent residue issues. It is also what will give your dishes that sparkly, brand new look. So try and add a rinse agent to your next load to sort out the problem. If the residue disappears and the dishes are squeaky clean, then it’s likely the result of using a rinse agent. 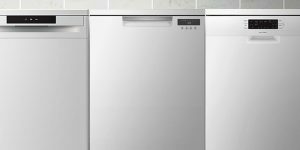 It’s important to note that dishwasher residue issues aren’t usually to do with the dishwasher being faulty, but are often a result of some external issue. These issues include not using an appropriate detergent, not using a rinse agent, the water not being hot enough, or the water being too hard. 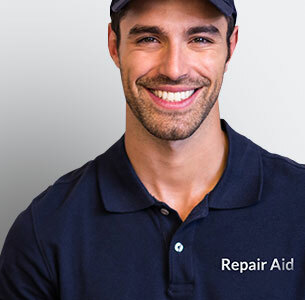 However, if you’ve tried all of the above and the problem hasn’t been resolved, then a dishwasher repair company, such as Repair Aid, should be able to help you.